What kind of personalities start entrepreneurial empires? Steve Jobs, co-founder, former chairman and CEO of Apple Inc.
Steve Jobs, Elon Musk and Mark Zuckerberg have all built entrepreneurial empires. Yet these titans of tech have very different personalities. In their new book, "Built for Growth," John Danner and Chris Kuenne, (Harvard Business Review Press, June 6) explore the personalities of successful entrepreneurs, or business builders. Danner and Kuenne identify four builder personalities — the Driver, the Explorer, the Crusader, and the Captain — to help readers better understand their own personality type and become better builders as startup founders, or as executives within their organizations. Danner is a senior fellow at UC Berkeley’s Haas School of Business. Kuenne is a lecturer at Princeton University and founder and managing director of Rosemark Capital. Danner and Kuenne maintain that who you are shapes how you build. Identifying one’s personality type takes two minutes answering 10 questions on the "Built for Growth" website. The authors determined the questions by asking a panel of successful entrepreneurs more than 100 questions about how they build businesses of enduring value. The panelists’ companies must have had a minimum of $3 million in sales and have been in business for at least three years — a critical survival threshold for most startups. An algorithm then narrowed down the least number of questions that identify homogeneous and heterogeneous characteristics of builder personality types. The quiz presents statements such as, “I always knew I would start my own business one day,” “When framing a problem, I rely mostly on the facts vs. I rely mostly on my intuition,” and “I consider the company as MY company vs. OUR company.” Current and would-be startup founders respond on a scale of one (completely disagree) to seven (completely agree). The four personality types are recognizably different based on their motivation to be an entrepreneur, their decision-making mode, management approach and leadership style. 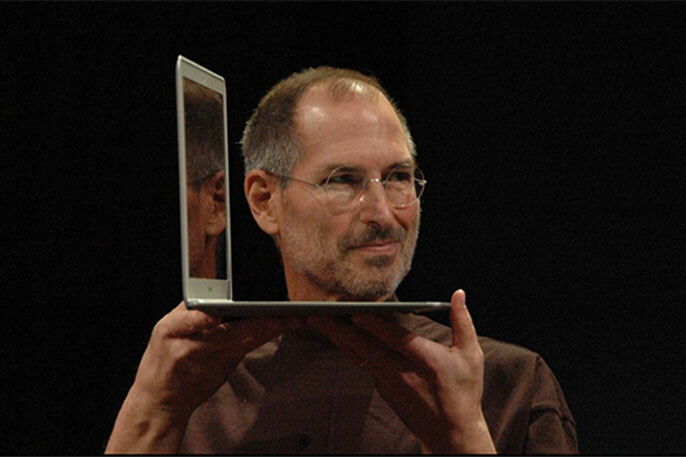 The Driver (Apple’s Steve Jobs) is relentless, commercially focused and highly confident. The Driver is focused, almost fixated, on the product or service and believes it is the next big thing. At the same time, Drivers have difficulty sharing the wheel with the team and can run into trouble when a market shift contradicts their confidence. Drivers are people who have always seen themselves as entrepreneurs. The Explorer (Facebook’s Mark Zuckerberg) is curious, systems-centric and dispassionate. The Explorer is fascinated by the puzzle or challenge and the opportunity to find the solution. This personality type also excels at uniting talent whose problem-solving styles complement each other; however, Explorers often struggle with the more human aspects of scaling a business. The Crusader (Twitter’s Jack Dorsey) is audacious, mission-inspired and compassionate. When a Crusader launches a business, it’s all about a long-term mission and making a fundamental change in the world. Consequently, businesses founded by a Crusader personality type resonate with consumers who support those missions. Danner says Crusaders often struggle with the operations side of the business. They also avoid conflict more than Drivers and Explorers. The Captain (Alibaba’s Jack Ma) is pragmatic, team-building and direct. The Captain is more focused on “we” than “me.” Generating a team culture and an environment of reciprocity and collaboration are the primary drivers of Captains. Unlike their three counterparts, Captains are often more comfortable changing direction based on consensus among their colleagues. While a builder’s personality is ingrained, the best builders also learn how to incorporate the strengths of other personality types. “Everyone starts with their own innate wiring. But when it comes to how to become a better builder, our book explains two strategic choices,” says Danner. First, the book explains how to become the “expert builder” or the best version of your builder type by elevating your particular strengths and delegating tasks related to your weaknesses. This strategy may be the easier path to improving your game. The second strategy is to become a “master builder” who borrows from other personality types to broaden one’s repertoire by engaging help from peers or colleagues. For example, Drivers can help Crusaders with execution, whereas Crusaders can help Drivers with conceptualizing a culture of meaning around their businesses. The book is also filled with interviews with successful builders, both prominent and lesser-known across various industries, including, Ben Cohen and Jerry Greenfield of Ben & Jerry’s, Brian O’Kelley of AppNexus, Ben Weiss of Bai5, Jenny Fleiss of Rent the Runway, Margery Kraus of APCO Worldwide, and many more.